357 Temperature . . . . . . . . . 358 Transparency and light penetration. 360 Salinity and conductivity 363 Major ions . . . . . 365 Dissolved gases and pH 371 Plant nutrients. 375 References 381 27. Phytoplankton: cOlDposition, developlDent and p- ductivity by]. F. TaIling. 385 Introduction. . . . . 385 Regional Development 385 The headwater lakes 385 a. Lake Victoria . 385 b. Lake Kioga . 387 c. Lake Albert. . 388 d. Lake Tana . . 390 The Sudan plain . 390 The Main Nile in Nubia and Egypt. 395 Limiting factors . . . . . . . . 396 Rates of photosynthetic production 397 References . . . . . 400 VI. Epilogue by ]. Rzoska 403 Authors Index . 407 Subject Index . . . . 413 The Nile in the Desert. The view encompasses more than 2000 kilometers from the river junction in the lower part of the picture to just below the Qena-Luxor bend, at the left upper end. The photograph was taken before the Aswan High Dam basin began to rise. The Red Sea and Saudi Arabia and the Ethiopian Highlands form the background. For the present state of the Dam basin see fig. 72. Courtesy of NASA. 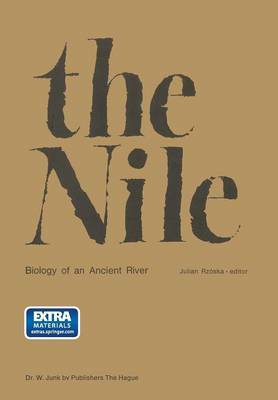 INTRODUCTION This book is an attempt to bring together information on the biology of the Nile. A big library could be filled by books on this river devoted to exploration and discovery, human history and hydrology. None has so far been written on the biology of the whole river system.